Writing about my passion for children to not play games like Grand Theft Auto is something that I am likely to repeat over and over. 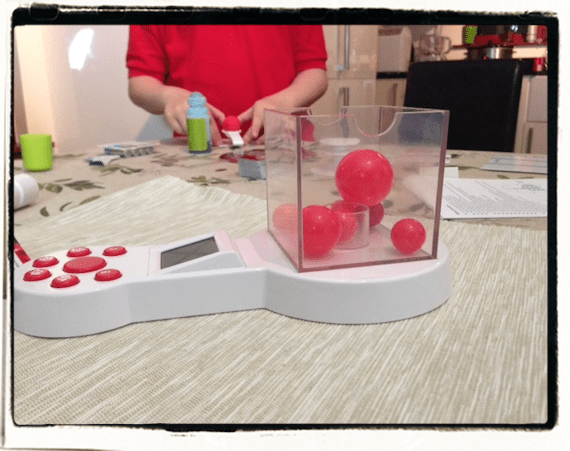 There seems to be less time made for many children in a family capacity these days, but we’ve kept up a game tradition as we’ve taken caravan holidays with our kids which always involves a game around the table in the chilly evenings. I have great memories of my Christmas mornings before the onslaught of electronic gadgets and I used to look forward to the new game each year. It would be nice to spend a bit of time as a family to recreate the effect and feeling for more simple things that we do at the moment. What would you rather do? Is it a good idea to encourage our laziness in front of the telly after a slump inducing feast while the kids blip, zip and bop with bleep bleep bleeps on their gaming machines or mobile phones? I know how easy it is to not find the time to spend quality time with our kids and I think we all suffer to some extent from it as our kids grow older. I have heard my kids utter the “boring” word on occasion when we think about playing games, so we make up our own rules to make things more interesting. No matter how our board games go, the aftermath of a sore loser pales into insignificance against an interrupted electronic gamer who throws a tantrum at the thought of having to stop playing to do anything else. I enjoy spending the time with my kids on games. I suspect more parents would enjoy them if they actually made time to play. I really do like it when one of mine comes into the family room with a game in hand and chivvying his dad to get up off the couch and play a game with him. The initial sigh is ear shattering, but after 5 – 10 minutes there is usually some laughing, talking and positive interaction. 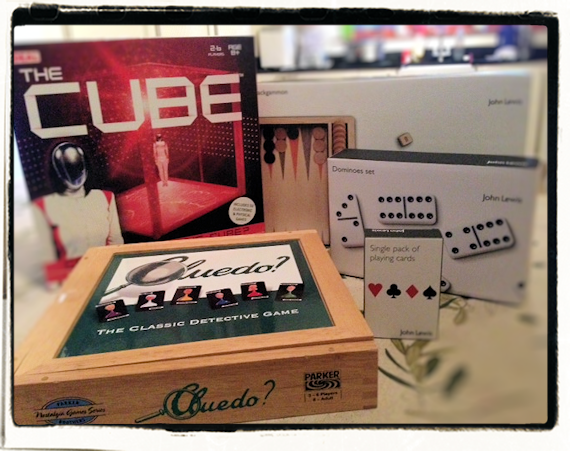 We were asked if we’d like to try some new games as part of a return to traditional family life and we have to thank John Lewis for sending us some lovely board games to try out on a games night. Our games sessions have been over several nights and have seen the kids learn some new things that they’d never played before. 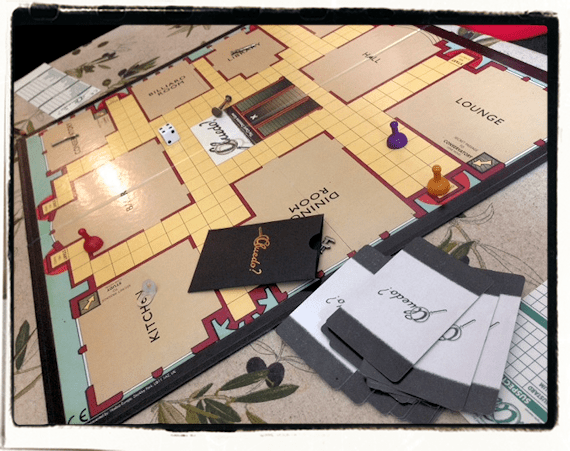 Littlest is a Cluedo expert as he’d played it many times at a club he goes to, but we managed to lose the doggie and spent the first half hour tracking it down. We did have a go at some semblance of the rules, but we ended up just playing littlests rules which kept him happy, and I suspect a bit of cheating made it in there too. 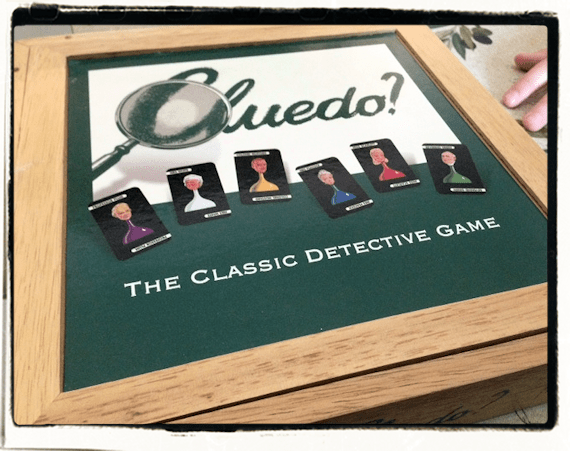 We received the Hasbro Vintage Cluedo The box is lovely and won’t get dog-eared over time like the regular cardboard games. It’s a lovely game for 2 – 6 players and is modelled on the 1949 version of the game. 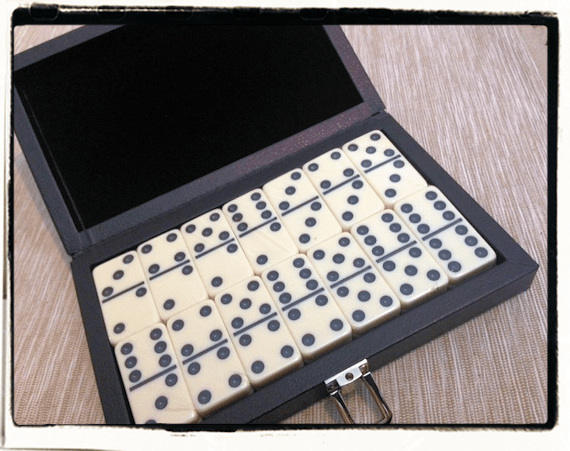 Spending lots of time playing dominos in the caravan, we missed the set that got lost in transit. I suspect we left it in the van when we traded it in and I hadn’t got round to replacing the set as it was the set that belonged to my grandfather. It was nice to revisit some of our old favourites from the van when it’s raining and miserable outside and it does play better with the bigger table in the kitchen. I don’t know why we’d never played it at home before, but the set just lived in the caravan. My kids are big fans of The Cube, so a game based on the games has given them hours of entertainment already. They can manage this alone and just love it. 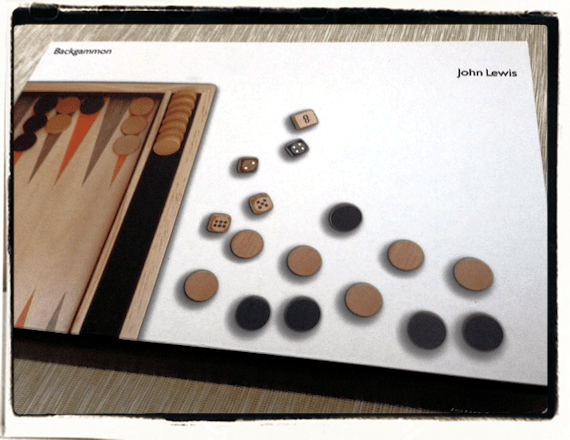 Backgammon is a game that I had never played and we’ve had a go at trying to play properly. I think we need to sit and read the rules better, but we did get the general gist of it. 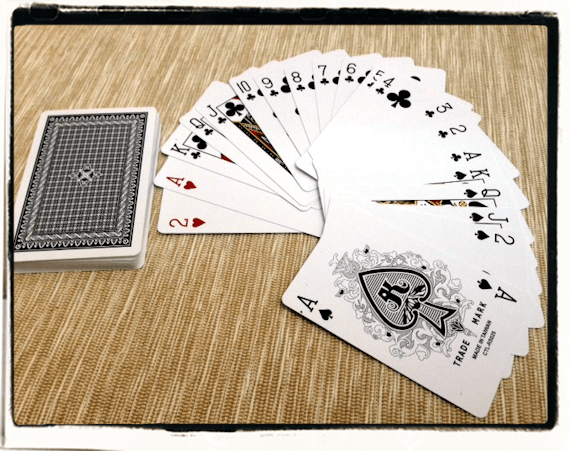 Playing cards just never go amiss and it makes a change from the usual UNO that we’ve played a lot recently. My boys have taken an interest in poker recently as the man plays once a week in a local league and although I was keen to keep that out of the scottish mum house, they really do enjoy playing it round the table, so who am I to complain? We’re all having a lovely time with the games and when they do play board games, they’re interacting, talking, laughing, sometimes sulking if they lose, but it’s a great break from the gaming and online world that so many of our kids seem to slip into at very young ages. Great Post! And what’s even better about these games, they don’t require electricity! These are great games, thanks for posting! !